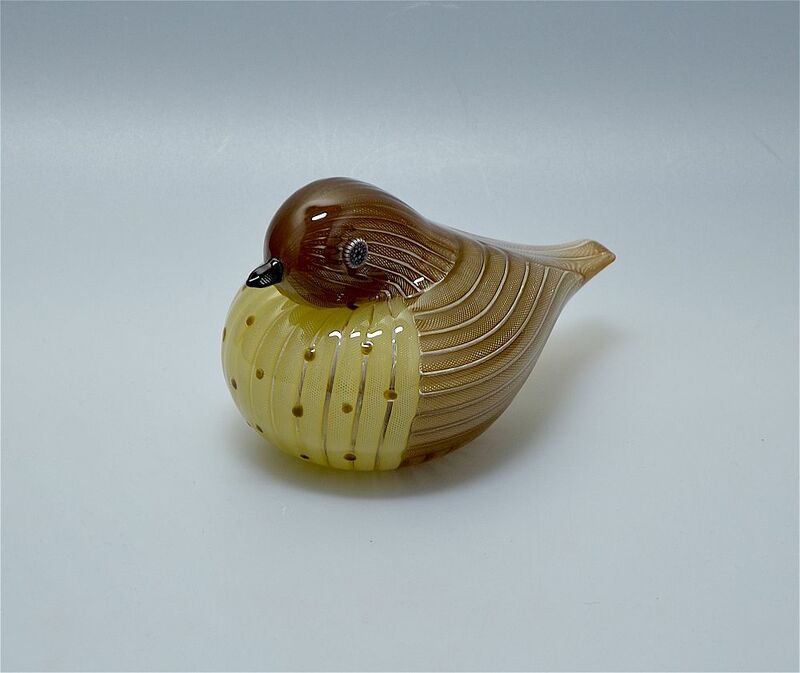 Another cute hollow blown bird this time a thrush made by Micahel Hunter for Twists Glass in 2016. The body and wings are brown zanfirico canes with pale lemon zanfirico cane beast with applied brown spots a black znafirico beak and blue red and white mnurrine cane eyes. The base is scratch signed "M Hunter Twists 16" and has the Twists Glass studio label.